23-year-old closes in on career Grand Slam. 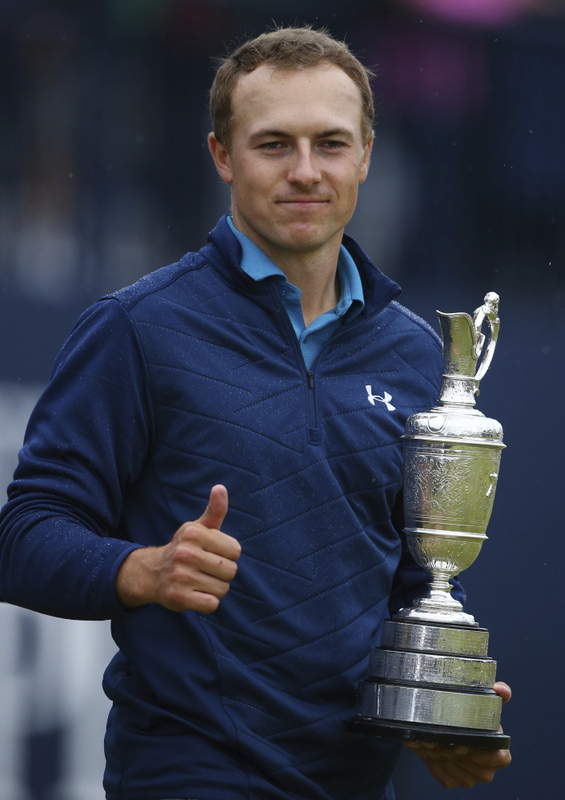 SOUTHPORT, England (AP) — During one of Jordan Spieth’s many low points Sunday in the British Open, his caddie reminded him of a photo from a Mexico beach holiday two weeks ago that showed him in All-Star company that included Michael Phelps and Michael Jordan. He had the presence to ask if the driving range was out of bounds. It wasn’t, which allowed him to go back in a straight line from the flag until he was on the range among the equipment trucks. After getting free relief from them, he still faced a blind shot over the dunes to a hole littered by pot bunkers. He hit 3-iron just short of a bunker near the green, pitched over it to about 7 feet and made what he considers the most important putt of the day to escape with bogey.